Choose the version you like, and stick with it thereafter. But when you preach in the presence of educated and intelligent people, you may exhibit your knowledge, and present the parts of the catechism in varied and sophisticated ways, giving them as masterful a turn as you are able. But when teaching the young, stick to one, fixed, permanent form and manner. Begin with these parts: the Ten Commandments, the Creed, the Lord’s Prayer, etc. Match the text word for word, so that they can repeat these parts in the same way after you and commit them to memory. 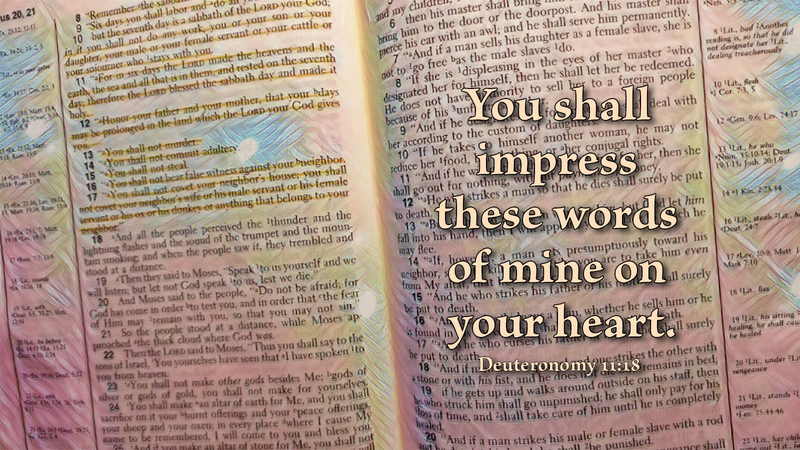 What does it mean to “impress” the word of God on your heart and soul but to memorize Scripture? Other translations use “place,” “deposit,” “lay up,” and “fix.” It all means the same thing: know the Word. We begin with foundational Scripture, teaching our youth, not only these verses that will prove helpful for a lifetime but also, the discipline of memorizing more Scripture as they mature in the faith. Do not be worried about expecting memorization; it is a beneficial exercise and one that God commands. Prayer: Help me, O God, to meditate in your Word day and night. Amen. Where does the Bible come from? Who decided what should be included in it? How do we know it is reliable? Why should we even care what it says? And even if we do care, how can we make sense of of such a big and confusing book? 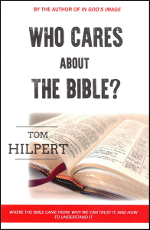 Author and pastor Tom Hilpert takes readers on a journey of discovery through the world's best-selling and most-printed book. Written in clear, understandable language, Who Cares About the Bible? tackles the most important questions concerning this unique book. It is an excellent primer for anyone interested in what the Bible is, how to properly understand it, and how to deal with the vast amount of misleading information that has been spread about it.